Manufacturer of a wide range of products which include ao2 thermal transfer over printer, ao3 thermal transfer over printer and ao5 thermal transfer over printer. We can provide the AO2 Thermal Transfer Over Printer and ribbon combination that is unbeatable in terms of reliability, performance and features that contribute to your overall requirement. TTO coders can print variable data, barcodes and images at 300dpi quality onto packaging material, for a wide range of manufacturing and packaging applications, in the food, pharmaceutical and industrial sectors. 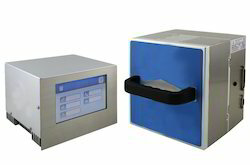 Thermal transfer is already a well-established technology for coding onto flexible packaging yet through superior capability and technological advances that make it more affordable, it is also now gaining widespread recognition as a replacement to older, non-digital technologies including hot stamp and roller coders. Looking for “Thermal Transfer Over Printers”?